OpenComputers Mod 1.13/1.12.2/1.11.2 – Modular, persistent, programmable computers and robots. A little bit of everything -- A computer with a multi-block screen and a hologram, and a robot next to a charger station. Simple computer. -- A simple computer with a disk drive. 3D Prints -- A bunch of 3D printed blocks. Free-form decorations for the masses! 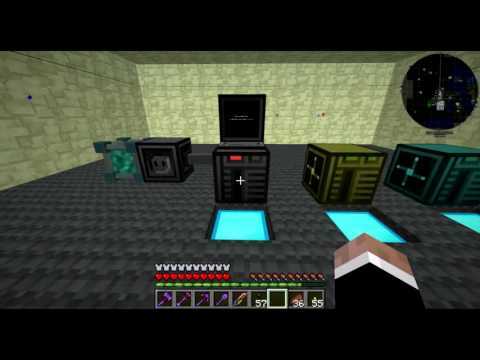 This is a simple tutorial that will helps you to install OpenComputers Mod for Minecraft 1.13, 1.12.2 and others version successfully! Download the OpenComputers Mod below or from anywhere, make sure the mod is compatible with the version of Forge installed. Place OpenComputers into your Mods folder. If you don’t have one, create it now. OpenComputers is created by Sangar, the mod was created on Aug 2, 2014 and the last update took place on Nov 16, 2018, so far is a total of 12,560,868 downloads. If you are interested in more information about OpenComputers Mod, please go to CurseForge[link]. The OpenComputers Mod download links from below are available for Minecraft's most popular versions so far, for others version (likes as 1.12.1 / 1.11.1 / 1.10.1 / 1.9.2 / 1.8.8 / 1.8.4 / 1.7.2 / 1.6.4 / 1.6.2 / 1.5.2 / 1.4.7) please visit the official website above! We do not host any OpenComputers files on our website. We do not modify or edit the OpenComputers in any way. If you have any problem with OpenComputers Mod, please leave a comment below and we will help you as soon we can.